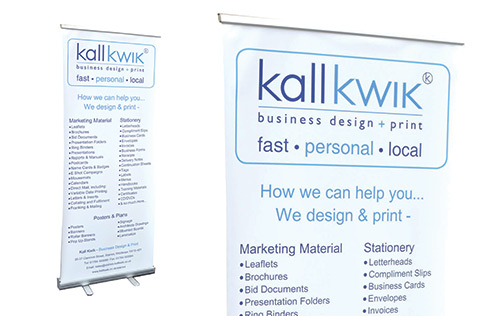 Pop-up stands (also called Roller Banners) are easy to transport and carry yet offer an excellent way of promoting your business or product in Exhibitions, Conferences and Reception or Sales Areas. The most common format is 2 x 0.85 metres but we can design and print many different sizes and shapes including curved signs. FAST – We can design and produce pop-up stands in 1 - 2 days.